It is not every day that established musicians come together and share a stage for the good of humanity. This is what guitarist and producer Kunle Ayo and his friends have decided to do this May! Dubbed Beam The Light, the annual music project is meant to assist emerging musicians to get a shot into the music industry in a sustainable way. 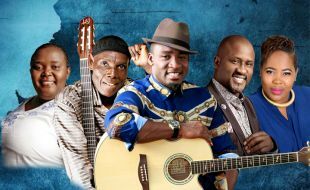 The list of his friends reads like the “Who is Who” of the African musical heavy hitters – Ringo Madlingozi, Oliver Mtukudzi, Hlengiwe Mhlaba, Lebo Sekgobela and a few surprises.